Any one else had a hard week? Mine was brutal. How about a giveaway? A little #Unicorn magic always helps. 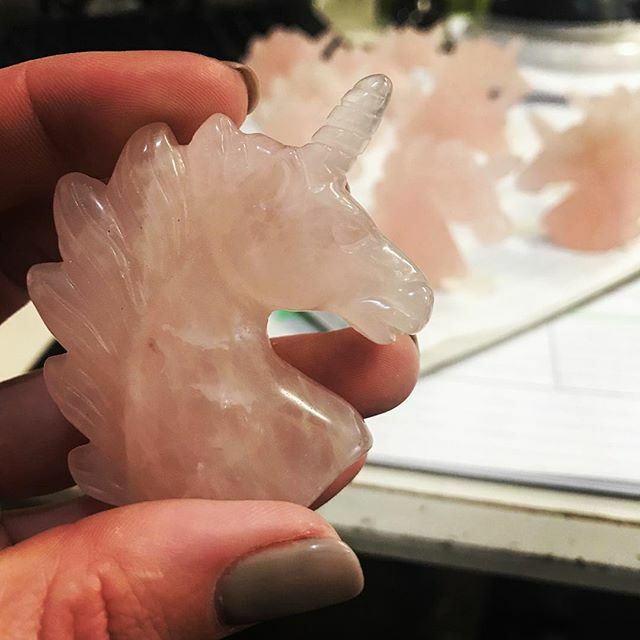 We just got these #rosequartz babies today and I feel like there’s someone who really needs one out there. Tag as many friends as you think could use a little magic love today and repost this pic with the hashtag #SoulscapeUnicorn to enter to win two of these magical unicorns, one for you and the other for a friend. Winner will be randomly chosen tomorrow 1/20/2019 at 3pm.